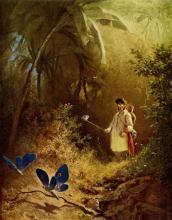 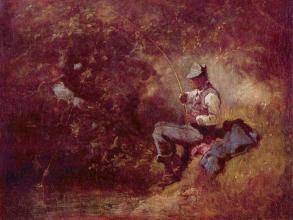 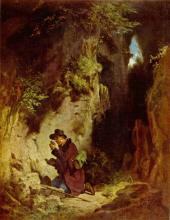 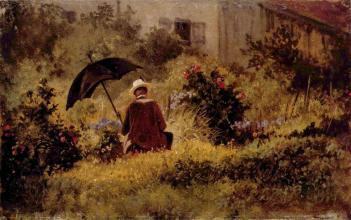 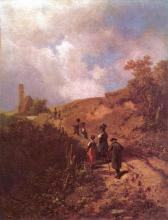 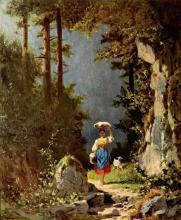 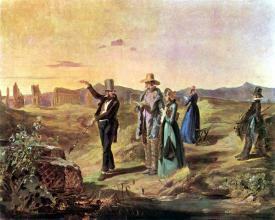 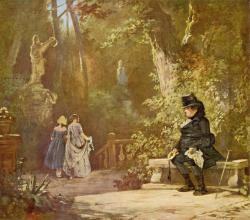 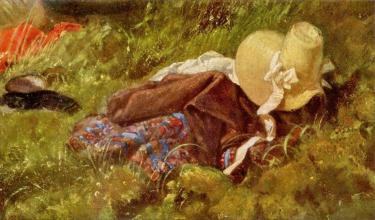 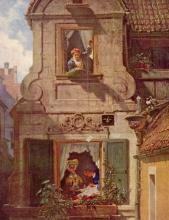 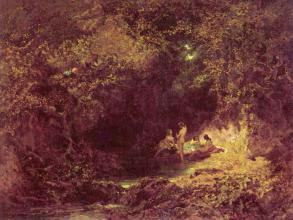 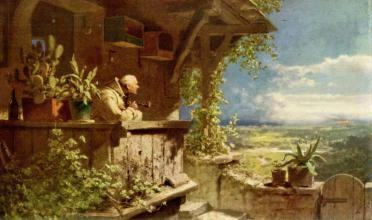 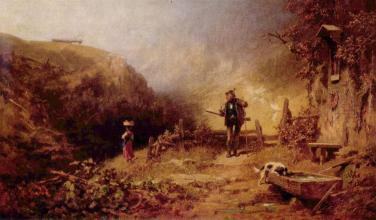 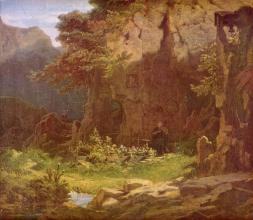 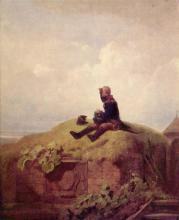 Carl Spitzweg (February 5, 1808 - September 23, 1885) was a German romanticist painter and poet. 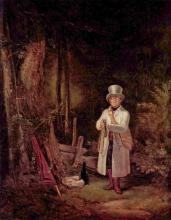 He is considered to be one of the most important representatives of the Biedermeier era. 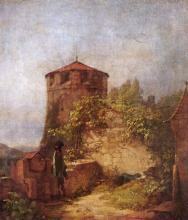 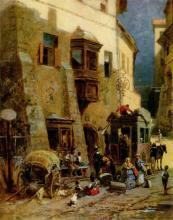 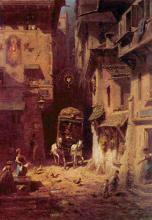 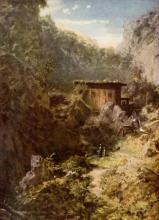 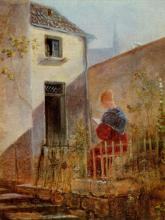 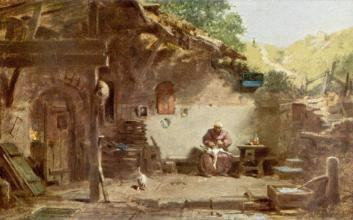 He was born in Unterpfaffenhofen as the second of three sons of Franziska and Simon Spitzweg. 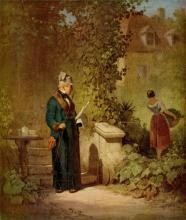 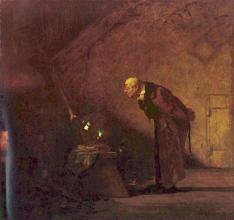 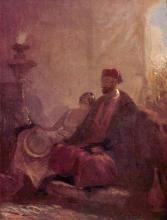 His father, a wealthy merchant, had Carl trained as a pharmacist. 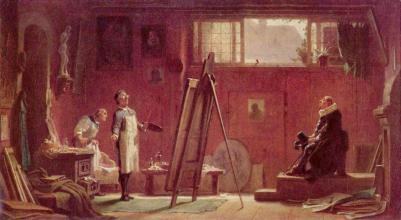 He took up painting after an illness, and was self-taught, beginning by copying the works of Flemish masters. 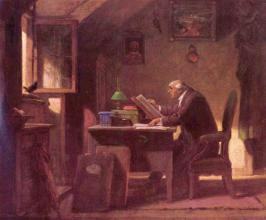 He contributed his first work to satiric magazines. 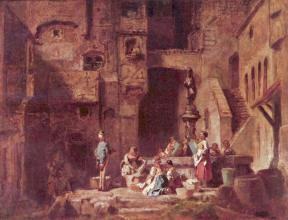 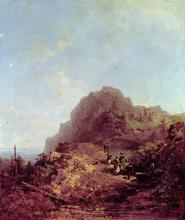 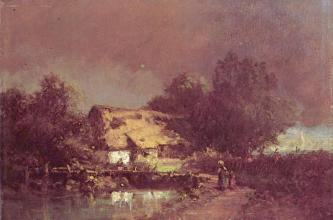 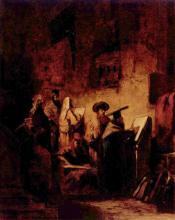 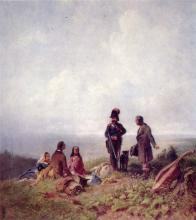 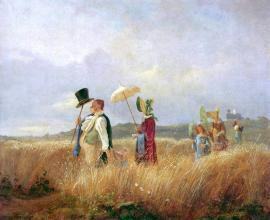 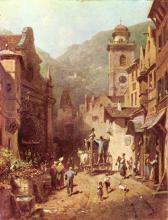 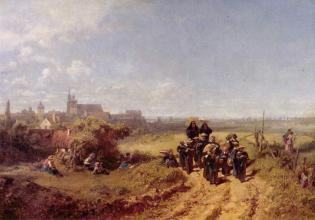 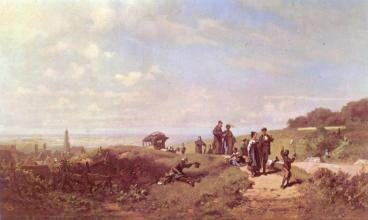 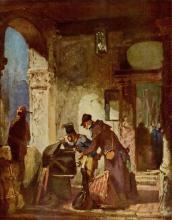 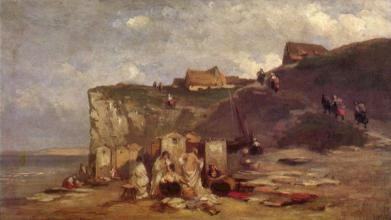 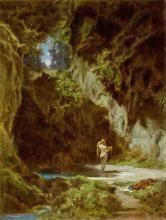 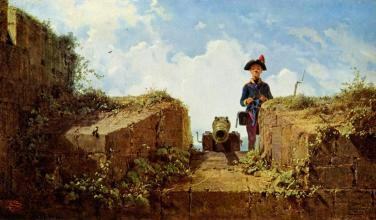 Later, Spitzweg visited European art centers, studying the works of various artists and refining his technique and style; he visited Prague, Venice, Paris, London, and Belgium. 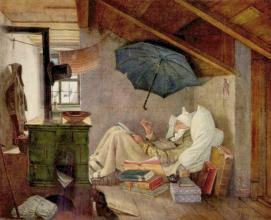 His later paintings and drawings are often humorous and eccentric portraits. 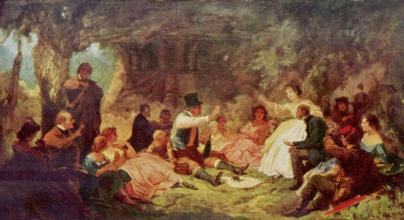 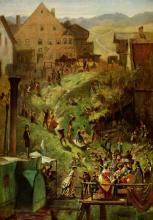 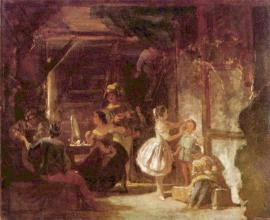 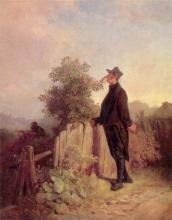 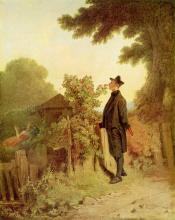 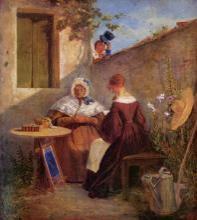 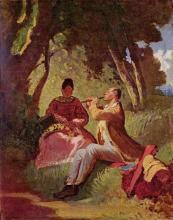 His paintings were the inspiration to the musical comedy Das kleine Hofkonzert by Edmund Nick.